Nokia may be committed to producing Windows phones as its primary mobile operating system, but not before slowly parting with its first love. 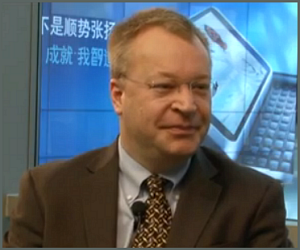 The company will continue to support smartphones that run the Finnish company’s Symbian platform until 2016, CEO Stephen Elop told Anna Shipley of Nokia Conversations, China Edition in an interview (video below). “We’re in a period where the investment in Symbian absolutely continues,” Elop said. When pressed, Elop confirmed that Nokia will maintain its customer service and apps as part of Nokia’s ongoing support for Symbian customers.